Next Post What Is That Thing In The Sky? Be that a Siberian Tiger-incognito? 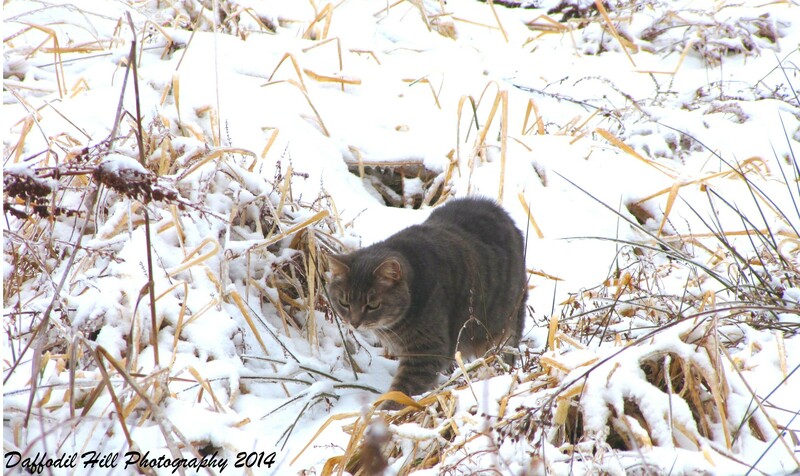 That is a very determined look on that cat’s face-either stalking something or hurrying to get warm! She brought me a bird yesterday but she also does not mind letting me share the office with her when she is done hunting.So it could actually be either one! “Someone’s gonna get it.” He he he.